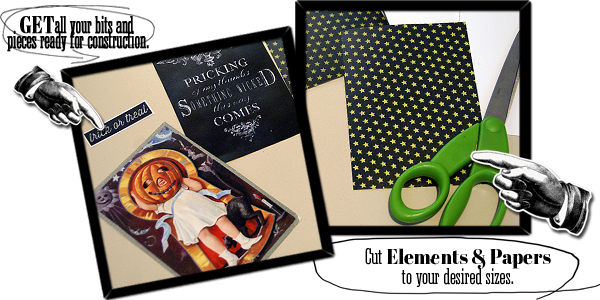 The Nifty Pixel| Thinking Outside the Square: PRINT & CUT | HYRBID PROJECT: SPOOKALICIOUS! PRINT & CUT | HYRBID PROJECT: SPOOKALICIOUS! Our fabulous Nifty Gal, Sanna Lippert's latest and greatest creation is Spooky Dooky! This eye catching collection of Halloween cards were created using our October major collection 'Cadaverous Charm' which is seriously spooky and ghoulish. You can grab that in our store. When they are combined in a hybrid page you will be amazed by how easy it is to use digital kits to create bold projects just as Sanna has done with these awesome cards. Swoon over Sanna's stunning projects below and check out her step-by-step tutorial outlining some really nifty hybrid tips & tricks. Hello there! I am back with another simple and easy hybrid idea. 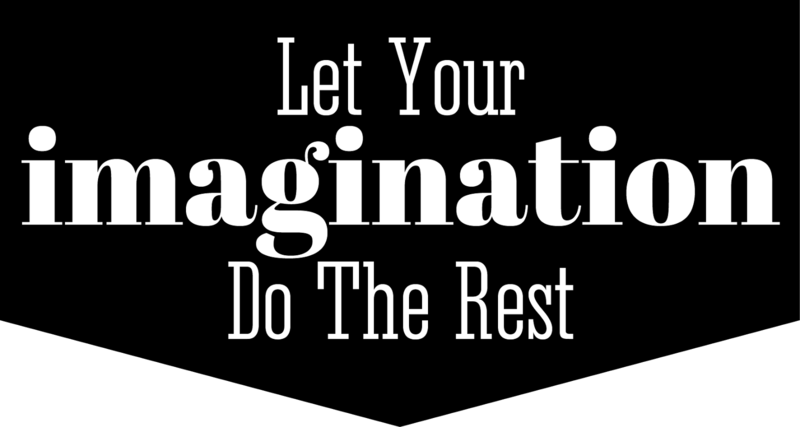 Since I am not a digi genius like my design team colleagues, I do lots of things the "simple" way. This time I wanted to create fun and easy Halloween cards using Nifty Pixels Cadavreous Charm Halloween Collection. I started as always assembling various design elements on to an A3 formatted page then printed it. This way everything I think I might of needed to use and all printed on the one sheet saving time, paper and toner. Whilst I was sending the printing job to my printer I noticed that it also offered an option of printing the favoured image in a full page size. That meant not the 30 X 30 cm size but instead the full A3 size! How amazing is that, I can now use the whole page and cut my paper to any preferred size I want it to be and nothing goes to waste. Now this was mind blowing to me, so don't laugh because you probably already thought about this, but it took a while until my brain cells actually noticed how practical this printing option can be for us scrappers! Check out how the A3 scale looks below. And now back to the cards. 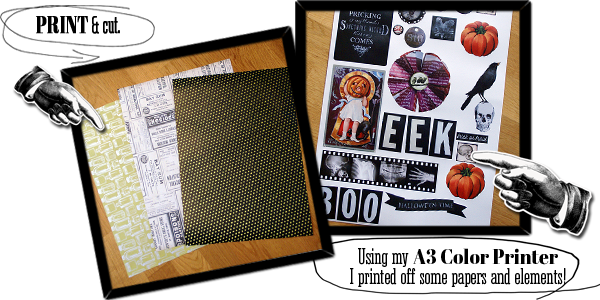 I created a set of 9 out of one A3 sized paper of Halloween elements and one sheet of background papers. In addition I only needed some 3D dimensional adhesive tape, glitter glue a stapler, white pen and stencil some texture paste and some Glimmer Glaze for extra drama when decorating the cards. Everything is kept pretty simple. I just fussy cut the images, cut the background paper into the size I require and glue those onto the card bases. I would then adhere those either by using a regular glue roller or if I wanted to add extra dimension I would adhere the elements down with a 3D tape. On one card I used a periled texture paste with a TCW Stencil (The Crafters Workshop) to add some detail onto the background and then just added the key design element on top. 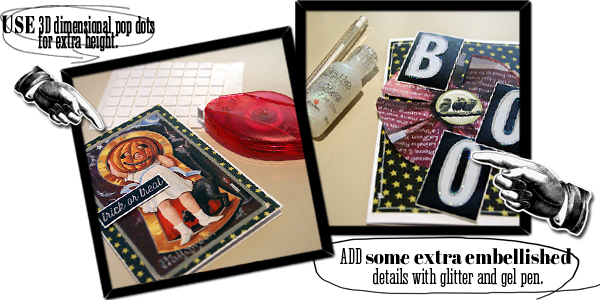 On some cards I outlined areas with a white gel pen and or added some shine with glitter glue. Some elements were roughly adhered to the base using a stapler, I found this added a nice "halloweenish" effect to the cards. Finally, I added some Glimmer Glaze in orange and black for some really blingy visual interest, so so very simple and easy to to do but the effect is twofold. The digital kit itself is striking and because the elements are bold as stand alone embellishments I decided that the cards did'nt need much more additional decoration, just a few key elements well placed, a touch of glimmer and you have a set of 9 cards made in no time at all! Wowwww! Thank you so much Sanna. What a handy tip about checking your printer options, if your printer can do A3 then thats a bonus for sure! We've all gotta agree Sanna makes some special tutorials for us here at The Nifty Pixel.